What are the 4Cs of a Diamond? Selecting a diamond is often associated with a joyful occasion. We feel so fortunate at NYCWD because we offer a service that involves celebrating love! It is our pleasure to help you during this exciting time in your life. Cut, Color, Clarity, and Carat Weight. At NYC Wholesale Diamonds, we believe in reducing stress and adding more joy to the diamond engagement ring process. The 4 Cs are necessary to know when you are purchasing a diamond. Each of the 4 Cs play a significant role in the quality and price of a diamond. All of the 4 Cs=the 5th C, cost. Cut, Color, Clarity, and Carat Weight all play a role with the light performance of the diamond. The best diamonds are colorless. 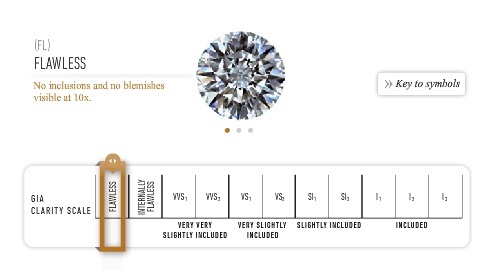 Diamonds that are white, with slight or no color, are graded higher in quality. As shown, diamonds graded J or higher, are colorless or near colorless to the naked eye. 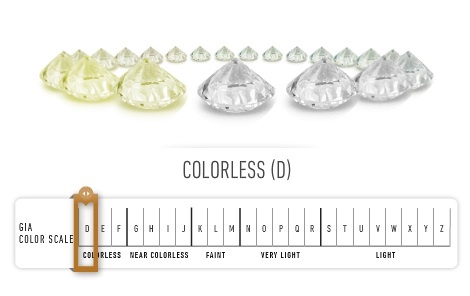 GIA’s Diamond D-to-Z Color-Grading Scale As you can see from the color grading scale, “D” is the best grade for a color of a diamond and “Z” is the lowest grade. 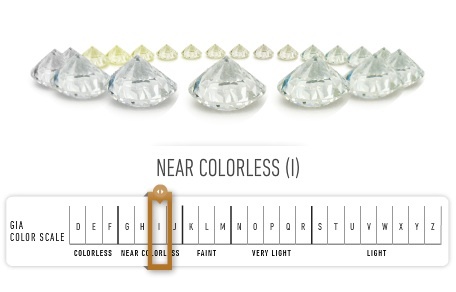 Keith Saxe, who has been in the jewelry business for 26 years, will help you understand the color distinctions. 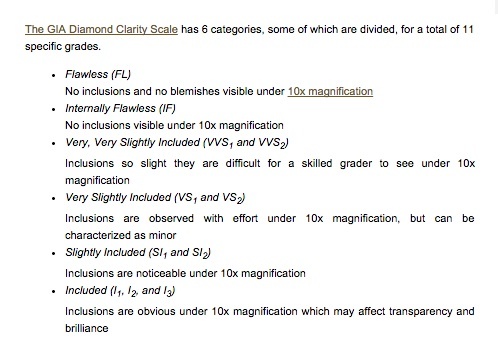 The highest grade for diamond clarity is Flawless- no inclusions and no blemishes under 10X magnification. Cut includes the proportions, symmetry and polish of the diamond- it doesn’t necessarily mean the shape, but how well the diamond’s facets interact with light. Cut is the factor that plays a big role in a diamond’s fire, sparkle and brilliance. A wide range of proportion combinations are possible and these ultimately affect the stone’s interaction with light. If the cut of the diamond is too shallow, the light leaks out of the bottom. If the diamond is cut too deep, the light doesn’t reflect back out of the top (the table), but from the side. Light performance is optimal when a diamond is cut with the proper proportions. 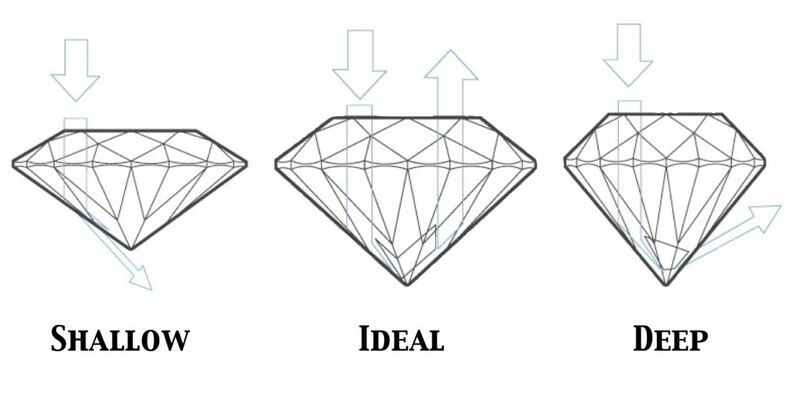 Now you can see why it is essential to have an Ideal cut diamond. 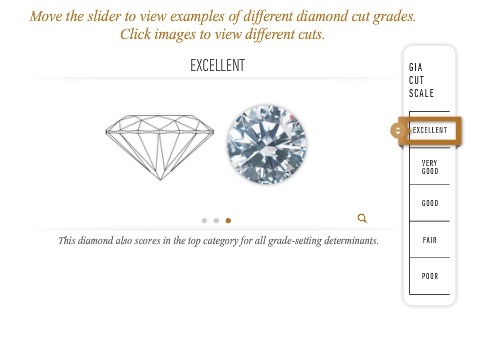 Below is an image of the “Excellent” diamond cut grade from the GIA Cut Scale. Carat weight is the weight of the diamond measured in carats. One carat is equal to 0.2 grams. Just as a dollar is divided into 100 pennies, a carat is divided into 100 points. If a diamond has 50 points, it would equal .50 carats. The carat measurement impacts the value of the diamond, so it is measured VERY precisely. Two diamonds with the same carat weight can have extremely different values because of the cut, clarity and color gradings of the diamonds. 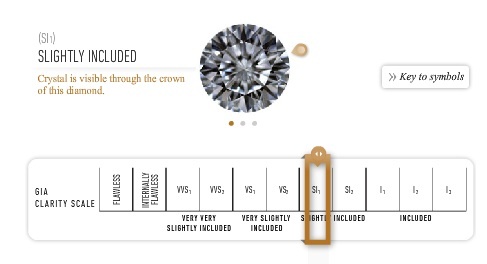 This is why it is essential to keep all 4 Cs in mind when purchasing a diamond. At NYC Wholesale Diamonds, it would be a privilege and pleasure to be of service to you. With wishes for brilliant light, beautiful symmetry and much clarity- we welcome you!